Choosing the right fencing contractor can make all the difference in ensuring your satisfaction. 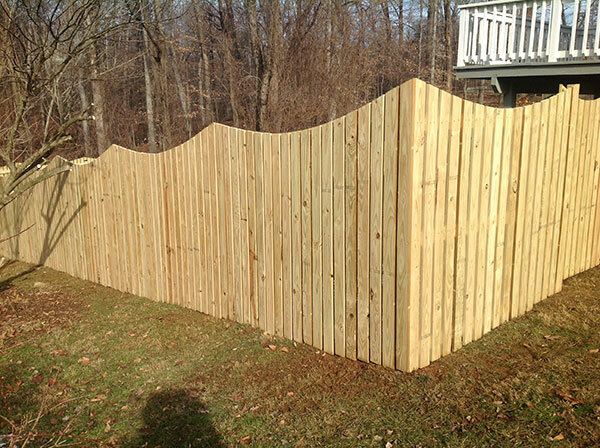 You have many options when it comes to choosing a fencing contractor. The Web is littered with contractor information, and many of them sound like excellent deals. But, as with everything in life, the principle of caveat emptor applies. The fencing contractor who says they can install your fence for significantly less than everybody else may be cutting corners somewhere along the line. Conversely, the fencing contractor who promises perfection but charges premium pricing may just be gouging you. Choosing the right fencing contractor may be the most important variable when embarking on a fence-installation journey, and it’s surely in the top three. When trying to make a decision, the following factors should come into play. The headache of an incompetent contractor on any type of home improvement project is, obviously, one you can live without. Do yourself a favor and find someone who will listen to your needs and desires, keep an open and honest line of contact with you, and make it their life’s mission to keep you satisfied. Too obvious? Hardly. If you want your fence installed properly, it shouldn’t be your fence contractor’s first time at the rodeo. Having decades of experience in satisfying customers is a solid tell on what kind of work you should expect. You don’t want to be stuck with restrictions on looks, materials, shapes, sizes,anything. A superior fence contractor will work with you to find a fencing solution that fits your style and your needs without breaking the bank. From offering a descriptive and honest pricing quote and setting up a reasonable project timeline, to providing a thorough contract and ensuring satisfaction, a professional fence contractor is there to work for you and get a job done right. It is 100 percent reasonable to expect all of these things from your fence contractor, and to look elsewhere if the job isn’t getting done to your specifications. This entry was posted on Tuesday, May 3rd, 2016	at 11:46 am	. Both comments and pings are currently closed.